Friday, the 25th of January saw the second day of the transformative Higher Life Conference Port Harcourt 2019 at the Amiesimaka Stadium. 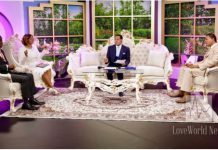 The event prompted thousands of Loveworld citizens, hungry for the word of God, to soak up scripture, elevate their souls and bask in the holy utterances of the man of God, the one and only, Pastor Chris. With the event only beginning on the 24th of January, the stadium was already well over its full capacity by the next day. The massive crowds received the word of God as the President enlightened them at Adokiye Amiesimaka Stadium, Port Harcourt, on eternal life. 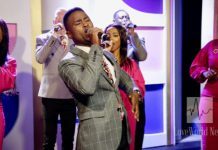 According to the latest Loveworld report that covered the soul-stirring event, attendees “expressed their joy and high expectations with so much enthusiasm”. One can even see the experience of the spiritual journey in the featured video. It is clear to see that every single soul in the mammoth sized crowd was filled with the love of God and felt his mighty presence burst into their hearts like a beam of light. Although the region had experienced some heavy rains in the days leading up to the recent event, it did in no way deter a single soul from showing up. In fact, the event sparked such immense joy, the crowds welcomed the pouring rain, viewing it has a gift from the heavens that cleansed the earth, purifying everything around them to make way for the glory of God and his messenger Pastor Chris. From the North to the very South of the great nation of Nigeria, the multitudes of ‘Loveworlders’ gathered to rejoice in song, dance, prayer and celebration for their love for the Lord “enraptured in God’s tangible presence at the arena”. 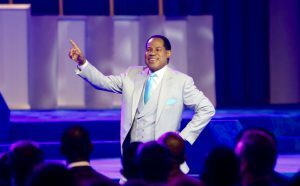 The conference culminated at the arrival of Pastor Chris- undoubtedly the most anticipated moment of the entire session. The aura of the Holy Ghost saturated the entire room, seeping into the soul of every being in attendance. 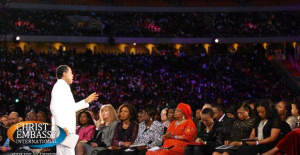 Pastor Chris took to the podium, and with all the power vested in him by the Lord, commenced with his teachings. Reading from John 3:16, he introduced a unique message on the subject of eternal life in Christ, expounding “on the difference between eternal life and everlasting life. “Watch the featured video for excerpts from the profound teaching on day one of the superlative conferences. Expounding further on his earlier introduced message, Pastor Chris delved deeper into “revelations of the ageless and timeless zones of the eternal life bequeathed to Christians.” Watch the featured video for more on the special teaching. Stay connected to LoveWorld News for more updates. God certainly smiled on Adokiye Amiesimaka Stadium that day, filling the space with his light and love.